Visit the Voter Registration Guide page for all of the information and forms you will need. How do I Register to be a Candidate in the next election? Where do I go to Vote or what is my Polling Location? Visit the My Voting Information page, enter your address and click the Submit button. Once it finds your address then simply click the Polling Locations button. Who are my Current Elected Representatives? Visit the My Voting Information page, enter your address and click the Submit button. 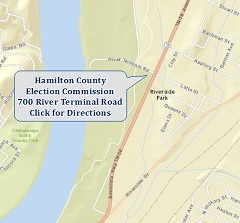 Once if finds your address then simply click the Elected Officials button. For a complete list of Elected Officials, click here to see the complete Elected Officials guide.